Hot temperatures? 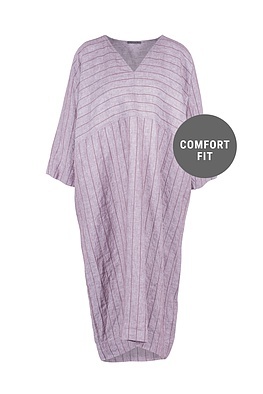 This long straight-cut OSKA dress will let you keep your cool even during heatwave temperatures. Its airy, loose-fitting cut and a mix of high quality linen and cotton make sure of that! Wide sleeves and a flattering V-neckline contrast attractively with its very relaxed silhouette. Two pockets are worked into the side seams.